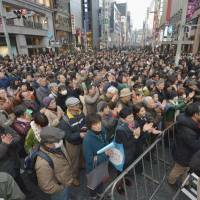 Last Sunday, a week before Tokyo residents go to the polls and choose a new governor, prominent candidates were campaigning hard in Ginza, showcasing their ability to manage a ¥13 trillion annual budget that almost equals Indonesia’s national budget. Former health minister Yoichi Masuzoe was flanked by Prime Minister Shinzo Abe and New Komeito leader Natsuo Yamaguchi as he courted voters at the famed Ginza 4-chome crossing, followed by former Prime Minister Morihiro Hosokawa, who was accompanied by his fellow former prime minister, Junichiro Koizumi. 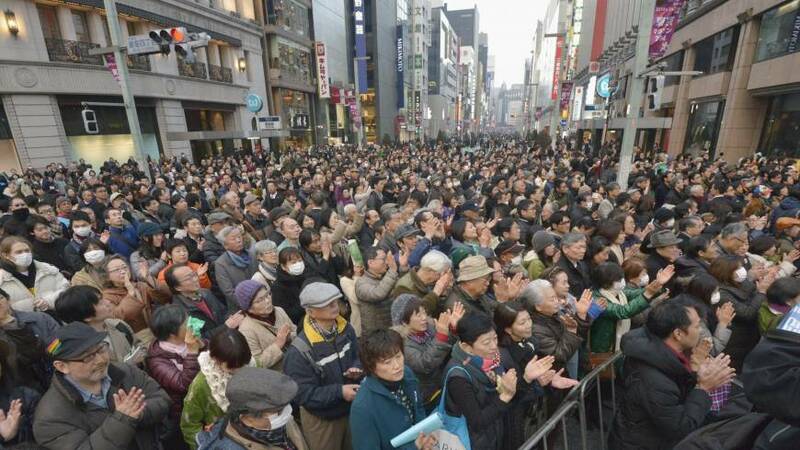 But it was retired Air Self-Defense Force Gen. Toshio Tamogami who was showered with relentless applause from a much smaller but fervent crowd for his conservative views. “The Japanese people are losing their pride in their country, because we have taught our children a self-deprecating Japanese history,” Tamogami shouted into his microphone in front of Mitsukoshi Department Store, which attracts many Chinese and South Korean tourists. Recent opinion polls conducted by major news outlets indicate that the front-runner is Masuzoe, supported by the ruling Liberal Democratic Party and its junior coalition partner, New Komeito. He is followed by Hosokawa and human rights lawyer Kenji Utsunomiya, who are both running on an anti-nuclear platform. Tamogami is running behind in these surveys, but when it comes to opinion polls conducted over the Internet, he is the most popular candidate. This is likely because people with ultraconservative and right-wing views, known as “Net uyoku,” or Internet right-wingers, tend to dominate cyberspace discourse on such issues as national security and territorial disputes. Internet polls, of course, don’t necessarily reflect the opinions of actual voters because unlike conventional surveys conducted by telephone, the “respondent” doesn’t have to live in Tokyo, let alone be a registered voter. Also, depending on how the website is set up, one person can just keep clicking away on one choice to skew the numbers. 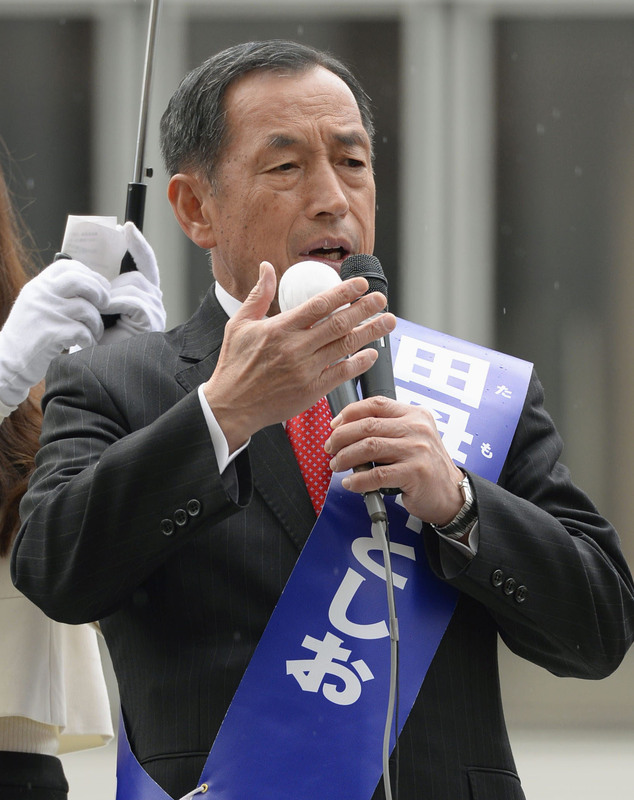 Tamogami appears to be striking a chord with the more conservative voters, and he has won public endorsements from hawkish figures such as Shintaro Ishihara, the former Tokyo governor and co-leader of Nippon Ishin no Kai (Japan Restoration Party), and Naoki Hyakuta, a novelist and NHK board member who advocates giving the nation’s armed forces the status of a legitimate standing military. 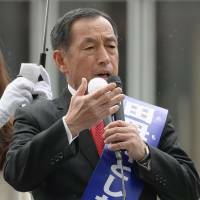 Tamogami, who was sacked as ASDF chief after publishing an essay that argued Japan was not “an aggressor” in the wars it waged in the 1930s and 1940s, differentiates himself from the other candidates by saying his platform has the closest affinity to the conservative prime minister. “Even though the LDP endorsed Masuzoe, I bet Abe secretly wishes that I will win the election,” Tamogami has said. In emulation of Abe’s economic policy dubbed “Abenomics,” he is touting “Tamogamics,” which entails coming up with a ¥2 trillion stimulus package and major public works projects to bolster Tokyo’s aging infrastructure. 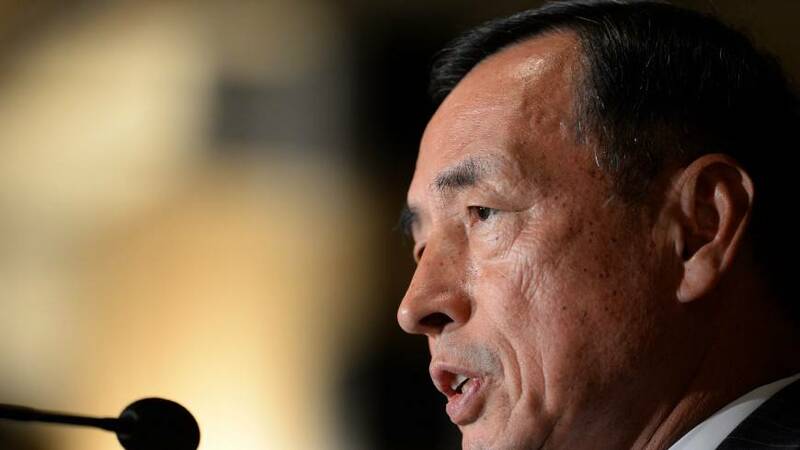 As a former leader of the ASDF, he also plays up his ability to lead disaster-response efforts in cooperation with the SDF if a massive quake were to hit Tokyo. 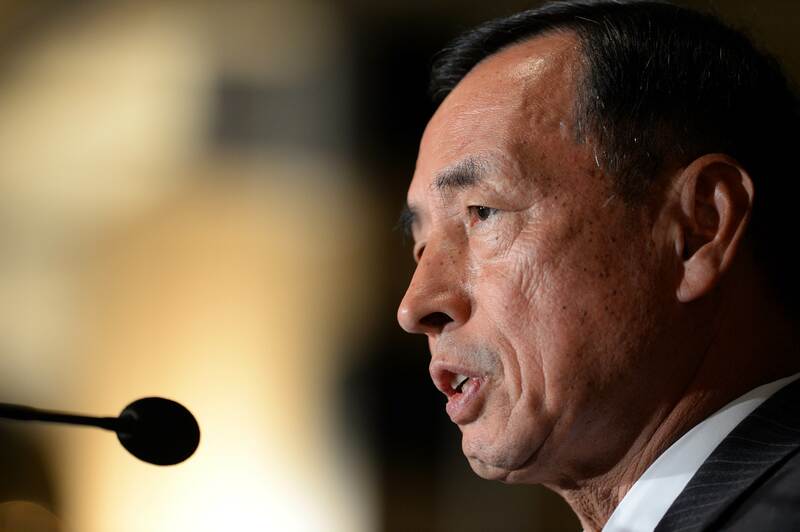 He praises Abe’s contentious visit to Yasukuni Shrine and is against giving the vote to non-Japanese residents or relaxing immigration policies. On top of all this, the Fukushima native, unlike the other major candidates, supports nuclear power. An LDP lawmaker said on condition of anonymity that some of the party’s Diet members support Tamogami because Masuzoe deserted when the LDP was in the opposition camp in 2010. 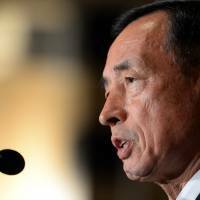 This lawmaker also said Tamogami’s right-leaning stance could win over young Tokyo voters increasingly frustrated by China, which has been flexing its military muscle over the Senkaku Islands, and South Korea, which has consistently attacked Abe’s revisionist views of history. 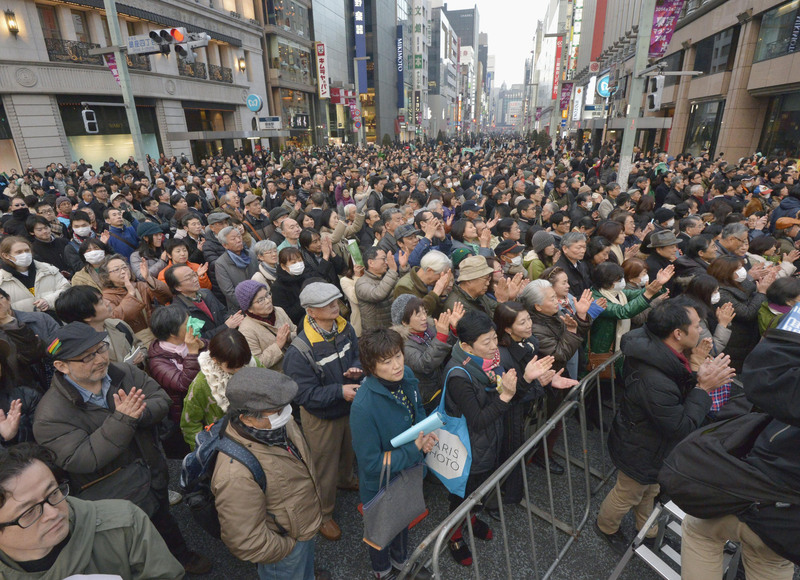 Most opinion polls show that more people oppose Abe’s visit to Yasukuni compared with those who endorse it, but a survey by the conservative Sankei Shimbun last month found that people in their 20s and 30s are more likely to support Abe on this matter than those who do not. In fact, unlike Hosokawa or Masuzoe, Tamogami is always surrounded by young female supporters, such as an actress, a novelist, a singer and Internet TV celebrities, who are helping him overcome his image as a rigid former general.